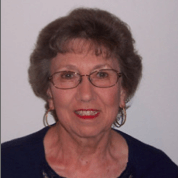 Gail was born in Dayton, Ohio and raised on a farm north of Dayton in the Tipp City area. She graduated from Ohio State University with a BS in Education, where she met her husband Hugh. They have six children and ten grandchildren. Gail has always been active in church and other volunteer activities. She helped start two preschool religion programs, served on parish councils, for one of which she was the President. She was also active in the Jaycee Wives including serving as president. Since moving to Hilton Head Island in 2000, she has been active in the political process from precinct to County level. She is a regular volunteer at the St. Francis Thrift Shop and served as a volunteer for the Concourse de Elegance, Heritage Golf Tournament, Honey Horn, and other special events.